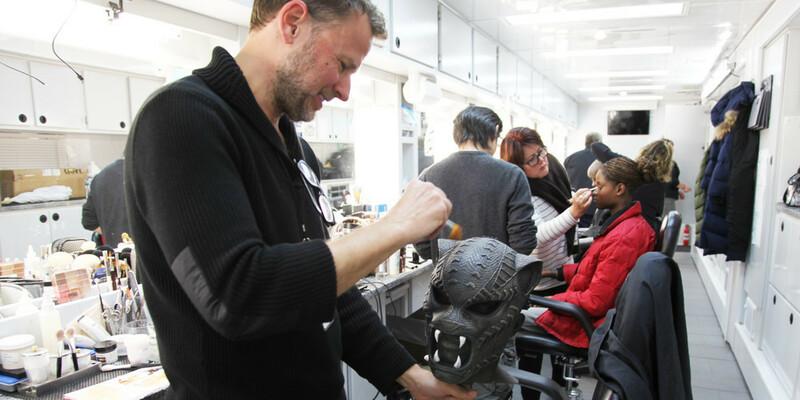 We chatted with Academy Award-winning makeup designer Joel Harlow about the challenges of creating Wakandan tribal masks, Michael B. Jordan's full body scars, and more. That said, when I got the chance to interview Joel Harlow, the Academy Award-winning makeup designer and department head behind Black Panther, I was understandably excited to do so. 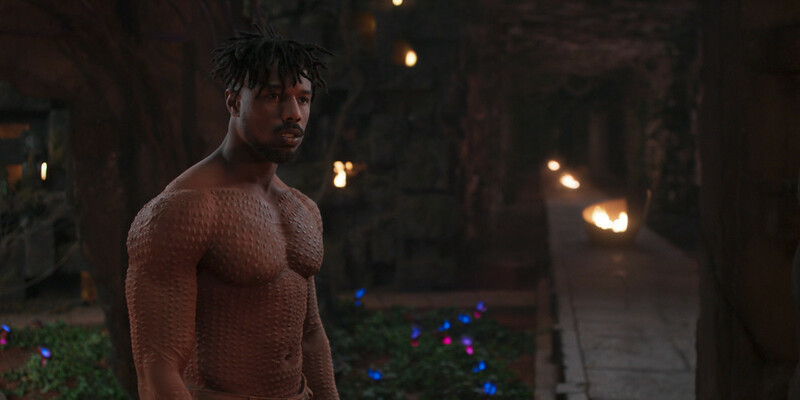 He filled me in on how he and his team brought the incredible Wakandan ritual makeup, tribal masks, detailed body modification and tattoo art of the film to life. Wakanda forever. 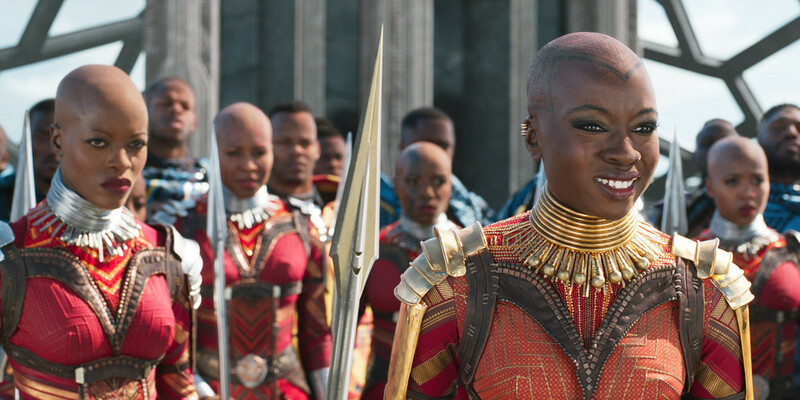 I know that much of the tattoos, body modification, and ritual makeup shown in Black Panther were inspired by real African tribes. So cool! How in-depth was your research process when recreating and bringing those to life, Wakandan-style? Joel Harlow: It was very in depth. 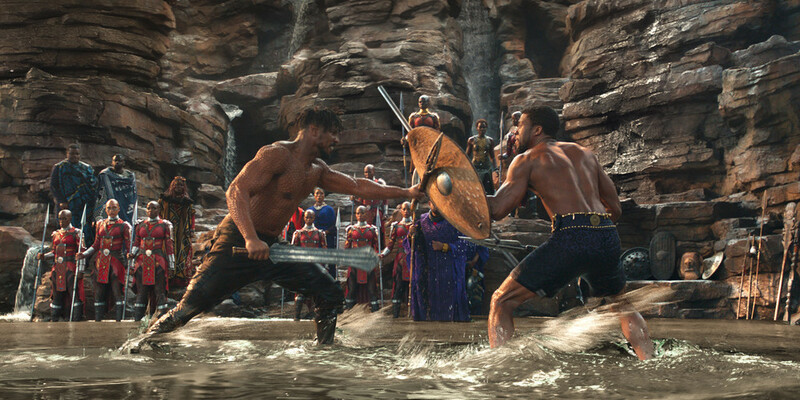 We had a wealth of visual information supplied by Ryan [Coogler], our director, in the meetings that I had with him; we then based on the specific tribes that he was looking at to portray our five tribes that make up Wakanda. We took his visual inspiration, his referenced tribes, and we did our own research on that. Basically, we wanted all of our tribes to have separate, unique looks. 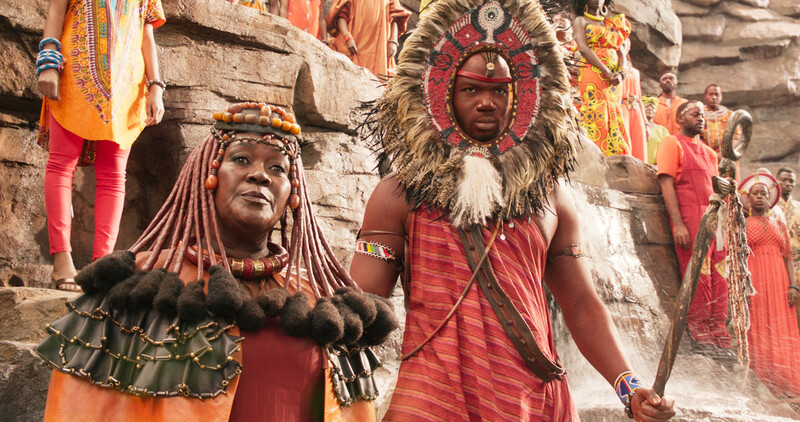 But still, our constant was to respect that [real African] heritage, even when kind of extrapolating those traditional tribal looks into the future society of Wakanda. Since Wakanda is this futuristic society, like you said, how did you make it seem more futuristic? 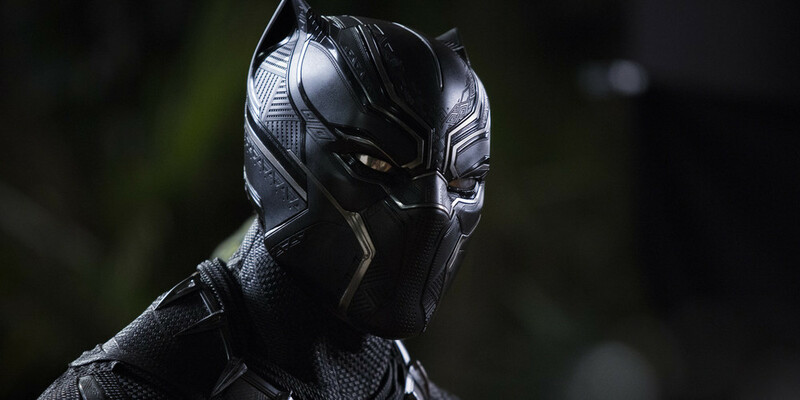 Basically, trying to imagine what that would look like if the tools that say, you were applying face paint with –– or a traditional lip plate is made out of clay –– what would that be if you had vibranium? And the technology that that brings available to you, how would that alter the look, but still ring true to the heritage that you’re using? In a nutshell, what we did was we cleaned up some of the lines, we crisped up some of the makeup, sharpened some of the tattoo looks. But they were still very grounded in actual tribal looks, and hopefully that rang true to their heritage. 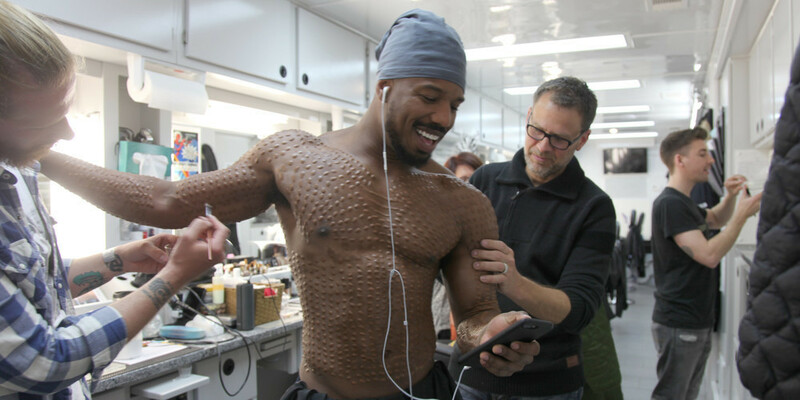 You spent hours creating the full-body scars for Michael B. Jordan’s character every day on set. What was that process like, and how did you like working with him? Oh, he was great! I’ll answer the process part first: Basically, what we did is we started with a body cast. And on that body cast, rather than just going in and sculpting our scarification –– [a series of] hash marks –– on that, we plotted everything out with a Sharpie or a grease pen. Then, using sheets of cellophane, we traced in sections, say the front abdomen section. We traced the 100 hash marks that make up that section onto the cellophane, then transferred [all of those, in their relationship to each other] onto a flat board. And then from those, we sculpted the actual hash marks. There’s anywhere between 78-80 different sheets of about 100 different hash marks on his body. He’s a pretty built guy, so there's a lot of surface area to cover. Once we’d done our sculpture, we molded those in a clear silicone so we could see through them. Very thin. We cleaned our sculpture out of there, then filled them with what is basically a thickened glue material. Once that dried, we took that sheet of 100 hash marks, and we pressed it onto Michael's body, peeling the mold off –– you know, that clear silicone part. Leaving the glue on his skin, then we blended them out and painted them at that point. But yeah, it’s a pretty complicated process, pretty time-consuming, pretty in depth. Four of us were working on him very early in the morning to get him done in about 3 hours. Was it difficult to have the marks stay on in certain fight scenes, like the ones in water? Did you have to do anything in particular to have them stay on? So you lose some of them, but because they are basically made out glue, they tend to hold fairly well. The problem is, if something contacts the surface, it can disturb the dimension of the hashmark, the scar. As with anything, your real work comes when you take it to set. Half the job is doing the makeup in the morning, the other half, probably the hardest half is watching it on set. Making sure it looks just as good as it did when you left the trailer at 5AM. Suddenly it’s 5PM and he’s been in the water, fighting over and over, [doing] multiple takes of each fighting move. He was very accommodating, very pleasant. You got four guys pushing on you in different areas. That’s enough to wear anybody down, but he never faltered. What about General Okoye’s incredible head tattoo? So that was designed by Ken Diaz and Kentaro Yano. Basically it represents a fighter helmet. 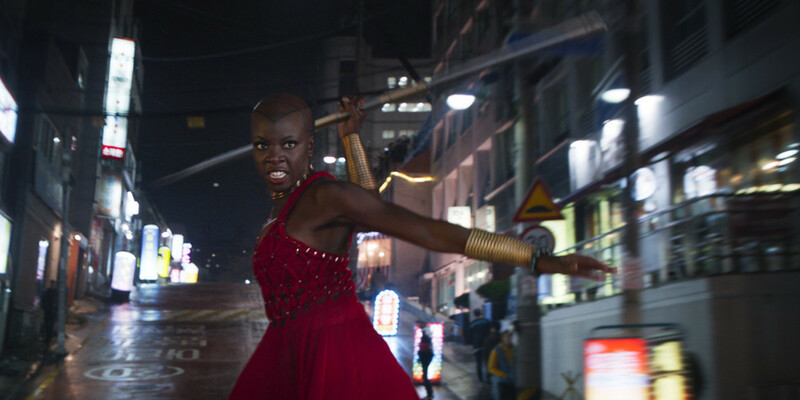 The idea was that all the Dora are tattooed in order of rank, and since Okoye is the General, she’s obviously the highest-ranking Dora, and so her tattoo is what I consider the most fierce. [It’s] the most sort of leader-representative. Oh absolutely, she’s a total badass. Exactly! So you wanted a tattoo that could convey that sort of power. And something that was also very ornate and somewhat militaristic. It does have bars on it, that would denote the bars of a military uniform. There’s also a sequence where she has to wear a wig. Some of the Dora have tattoos that go across their face or down their face . . . but she couldn’t have anything like that, because it's a story point, [so her tattoo needed to be] concealed by a wig at one point. There was some consideration that went into it for that. The design of the tattoo was also very representative of African culture. That one in going on was extremely difficult, so you’re dealing with the compound curves of the human head. It’s not like a tattoo that you can just stick on an arm and t’s basically one plane. You’re dealing with so many shapes that we had to approach it from many different angle. The application level in that is multilevel. First you spray a stencil outline, you go in and clean up those lines, then there are smaller sections that fit into areas of the tattoo that are transfer pieces. Then Ken and Kentaro blended it all in with makeup. So how long would you say that process took? That was probably 3 1/2-4 hours, because we had to shave Danai [Gurira]’s head every morning also. [Hair] would totally disrupt the aesthetic of the tattoo. Your team also created the three tribal masks seen in the film. Can you tell us what that was like? Yeah, that was a lot of fun. Because we’re replicating traditional tribal masks, even though one of them is obviously the Black Panther mask, which has the look of the Black Panther suit. And then M'Baku's gorilla mask was the same kind of idea. You’ve gotta keep in mind that Winston [Duke] is fighting in this mask, so his peripheral vision is going to be somewhat obstructed if you bring it out too far. You’e gotta keep in mind that it’s not just about the aesthetic; it’s about the practicality of it when dealing with a mask like that. Right, because they’re actually having to do these intense fight sequences while wearing them! Yeah exactly, both Chad [Boseman] and Winston and their stunt doubles had to wear these masks and they all had to be able to see, without suddenly taking a foot to the side of their head! Even though they rehearsed over and over and over. And a lot went into keeping them soft on the inside but still look like wood on the outside. And of course Michael B. Jordan’s mask that he steals from the museum is kind of more like a jackal. It’s supposed to look aggressive. You’ve famously designed the makeup and hairstyling for films such as Alice Through the Looking Glass, Into the Woods, and even won an Academy Award for your work on Star Trek beyond. Do you have an all-time favorite look you’ve created? You know what, I’m pretty happy with Michael’s look as Killmonger when he’s shirtless. Usually if I'm not happy with it, I’m fortunate enough to be able to work with a crew that will bend over backwards to make sure we’re all happy with it. Be sure to check out more of Joel Harlow's incredible work here. ** Parts of this interview were condensed for clarity.